Avon Skin So Soft Corporate Flight Attendant Community: For Private Jet Flight Attendants! 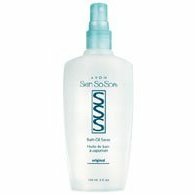 Did you know that AVON’s Skin-So-Soft Bath Oil is more than just a bath oil? Just look at the list of uses we’ve found, “tried and true”!! 1. It’s a bath oil. 2. It’s an after shower moisturizer. 3. It can be used to remove makeup. 4. It’s a suntan oil (not a sunscreen, however). 5. Pour a little in the water of your foot saver to help moisturize your feet while you relax them. 6. It’s a hot oil treatment to soften nails. 7. It’s a good massage oil for those overworked, sore muscles. 8. It’s a good insect repellent for people and their pets (as recommended in Outdoor Life and Field and Stream magazines, plus “Dear Abby”). 9. It helps relieve itching caused by insect bites and dry skin. 10. Sponge it on screen and around doors and windows to keep crawling bugs, as well as, flies and mosquitoes out. 11. It’s a good wood cleaner, conditioner and polish for natural wood. (Cuts grease and dirt from kitchen cabinets with ease). 12. It removes chewing gum from hair, skin, and most nonporous surfaces. 13. It removes glue and gum left from price tags and labels from glass, metal and most plastics. 14. It cleans tape marks left by bandages from skin. 15. It cleans ink from skin and most vinyl and painted surfaces. 16. It gently cleans heavy grease and oil from skin and nonporous surfaces. 17. It removes soap scum from shower doors, shower curtains, windows, and bathroom and kitchen fixtures. 18. It removes lime and hard water deposits from windows, fixtures, shower doors and tile. 19. It removes tar spots from car finishes without damaging paint finish. 20. It’s an oil lubricant for fitting pipe joints that won’t slip together as easily as they used to. 21. It removes paint and stain from skin — much gentler than turpentine! 22. It cleans paint brushes easily, and leaves them as soft as new. 23. It removes gum from carpet. 24. It cuts grease and dirt from range hoods. 25. It removes candle wax from furniture, carpeting, and clothing. 26. It removes scuff marks from patent leather shoes. 27. It removes Liquid Nail (paneling glue). 28. Two glass bowls or glasses stuck together? Drizzle a little SSS down the sides and they’ll come apart easily — no breakage! 29. It removes “ring around the collar”. 30. Wipe down vinyl surfaces inside your car to preserve the vinyl. This article originally appeared in the June 2000 issue of Jet Aviation's Flight Attendant News. Author unknown.